History of GUILD WARS 2 RYTLOCK is released by ARENANET! The most recent Guild Wars update called All or Nothing served as the basis for Arena Net to develop a series of short stories that follows the most important characters in the narrative. 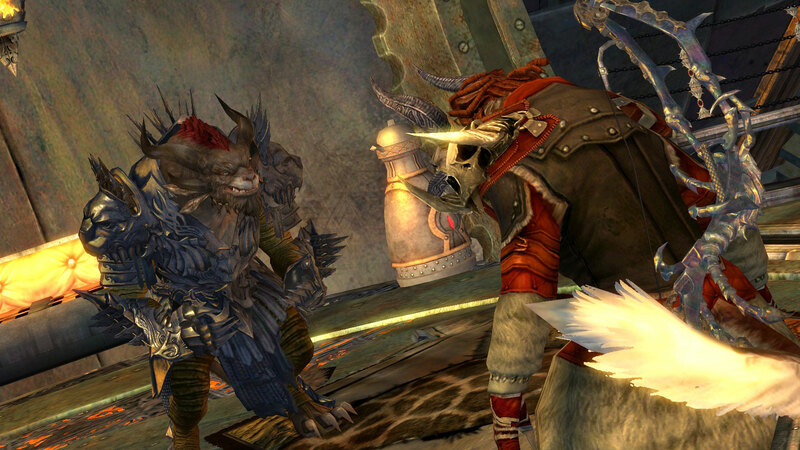 A tale was released, on top of Rytlock Brimstone, being well received by fans by focusing on the Charr character. Entirely developed by Net Arena, from illustration to plot, Rytlock is a tale that deals with the most critical events of All of Nothing, carrying major spoilers of this GW update. Two other stories have been confirmed to fill the series of short stories, with a particular focus on Caithe and Zafirah. Although they have no confirmed date for release, the announcement of more short stories has created expectations for players, who seek to know more about the characters used in the games. Guild Wars 2 has been in the MMO scenario since 2012, and NoPing has the best support for you, to experience better gameplay. Test it for 7 days free having a better experience by playing without lag.